Speakers in Code: Interview | Tift Merritt: "It doesn't need gloss and sheen if it's going to be honest and real." 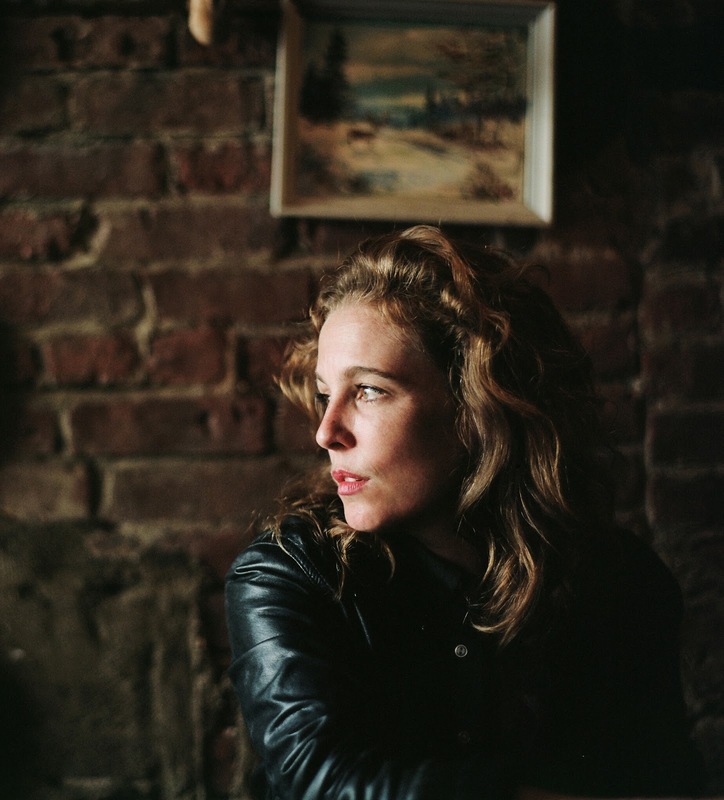 Interview | Tift Merritt: "It doesn't need gloss and sheen if it's going to be honest and real." Saturday is the day. 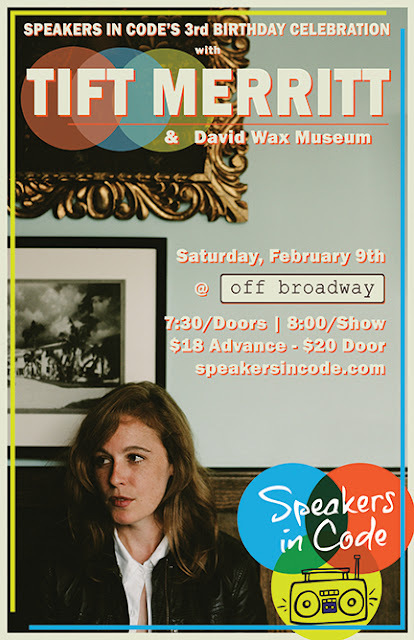 We recently turned 3 years old here at Speakers in Code, and we're celebrating at Off Broadway with Tift Merritt and David Wax Museum. 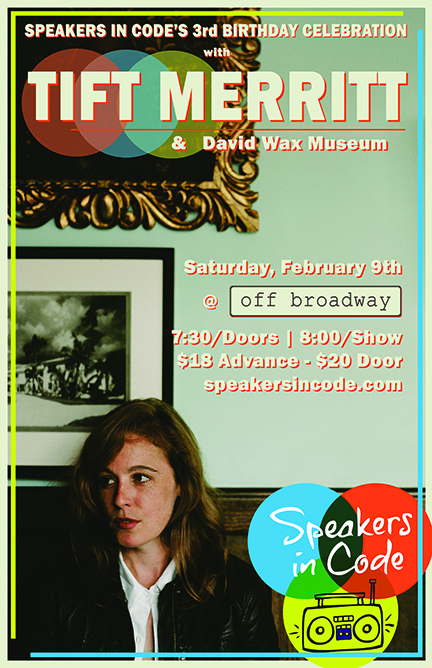 Doors are at 7:30, and the music begins at 8:00. Tickets are $18-23, and can be purchased here. North Carolina native Tift Merritt released one of our favorite albums of 2012 called Traveling Alone. Here's a little playlist we put together. We recently had the pleasure of speaking to Tift about Traveling Alone. How does releasing an album feel at this point in your career? You know, I hope you get better at the process with each record, but every time a record comes out, I go, "well, I can't believe we made that!" And then you also feel, and I think every artist feels this, you have to just let your work go, and you have no control and you really can't worry about what anyone else thinks. It has to fend for itself in the world. The reaction of people who will listen to the music, you never know how it's going to go. Is that scary, or can you just go with it? Well, as with most things, I think it's both things at the same time. On one hand, to be an artist, you really can't worry about people think, you know? You have to do what is in your heart, and nothing else really matters. On the other hand, I want to be able to take good care of my band, and stay on the road. And for that, I always hope we're going to make a place for ourselves just by doing what we do, and that's a chance that you just have to take. You know, last time I saw you here, you were performing solo, and I think you maybe played one or two of the new ones, I'm not sure. When do you think these songs took off and started to become complete? It's such...it's one of those things: you're writing and writing and it comes into focus, and then it comes into really tight focus, and then you have to pull back a little again. The first song, "Traveling Alone," is really beautiful, one of the best songs you've written. It hit me right away, and it sets the tone for the message of the album. Would you agree with that? Absolutely. It is the starting point. It feels really pure. It's funny, because I saw you once in St. Louis, and the person on sound tried to slip a little reverb in your vocal, and you didn't want any part of that! Oh, I yelled at him? (laughing) I usually do that to sound men. (laughing) You know, it doesn't need gloss and sheen if it's going to be honest and real. Like you sing on "Sweet Spot," the second track on Traveling Alone: "I'm just looking for that sweet spot, where I can live the way I want." I think that's an important lyric on the album. Absolutely, I think that's another statement of purpose or intention. I think that song is true in life and art and feeling, and the place where you feel the depths of things. It's a place that's very balanced, but it's also a place that's very alive. It's a place that is not serving anyone else's agenda. Do you think it's possible for an artist to have those feelings when they first start out in their careers, to have an idea of the life they want to live? I don't know. I think it would depend on the artist. Some people are born in the spot, probably, I don't know if I can have any perspective on anybody else. But I will say that I think that this is definitely a record that I earned, that I couldn't have written without some worn-in edges. When I hear records like yours, I feel that they're sort of personal to the artist, and I have a hard time understanding how I should take each song. Should I take it for myself, or should I take it as a personal song to the artist? What are your thoughts on that? I think that's an interesting way to look at it. I think if you write a really good song, you don't have that choice or have that kind of cerebral reaction to it, you know? You're hoping that the person feels the song for themselves, and hopefully with some compassion and generosity that factors in the storyteller. Which is fine, that's the beauty of it, I think. I saw this band called Deer Tick recently, and amidst of all the loud rock and roll that they played, there were many shouts for their saddest song, "Dirty Dishes." It was fascinating to me, because the audience wanted the slow song. It's like the search to hang on to something, to feel something. Do you ever feel that from your audience? I understand what you're saying. I think there is something to be said for not trying too hard. I think there is a lot more to say than just one wall of rock 'n' roll. I think a song has to be introverted and extroverted, and kind of take people from one to the other where it doesn't live in joy or extroversion, and it doesn't totally live in sorrow or introversion. But, I think those things are really tied to each other. And I do think that in the right setting, when you give the audience a chance to have an intense moment, they want to come with you on that. They want to feel. I think one of your new songs, "Small Talk Relations," I really think that one gets to the heart of the matter. I'm trying to remember. I don't think that one was very labored. I think I was singing about small talk relations, and how they were driving me insane! (laughs) And something about playing that on the piano, I think that song is really natural. I don't remember everything about writing it, but I think there is something "city" about it, and how there is so much noise. And I think also that very much of this record is culling the noise from the meaning, and how much noise there is in the world, that you somehow think you're supposed to be able to endure. Is there a sense of mystery with the idea of being alone on this record? I think that being alone is something that I think about a lot, and it's something that I feel a lot. I love having an afternoon by myself. I think being an artist is a solitary journey. I think being a human is probably a solitary journey at times. And then, being alone can mean being terribly lonely. I think it's interesting to think about both of those, and then the question of how to make meaning of it is, really: How are you authentic to yourself? And how do you find a way to participate? That's kind of a narrow path.